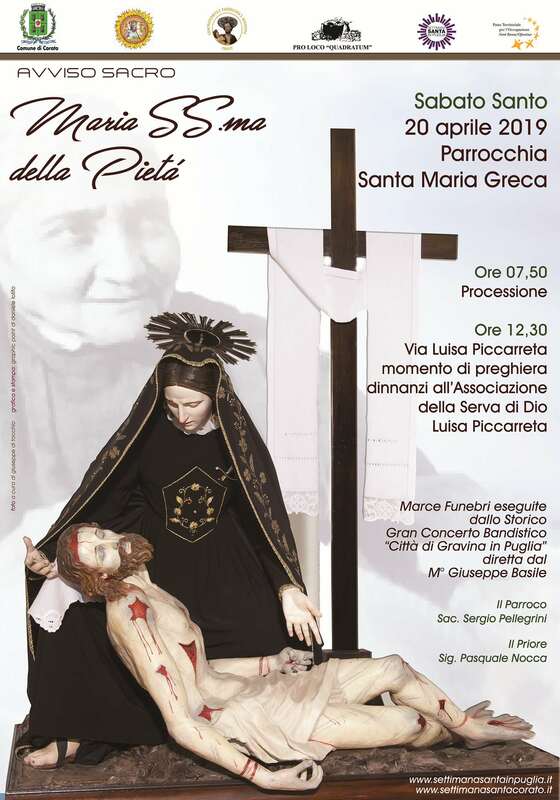 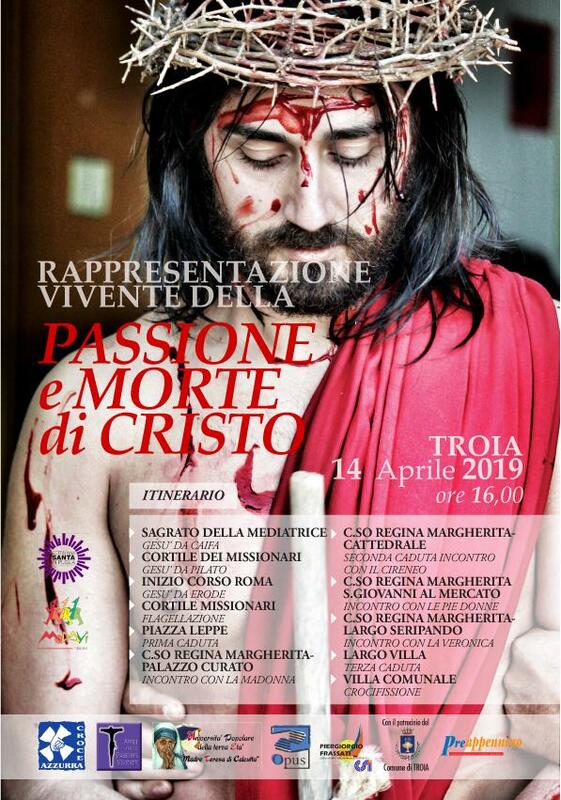 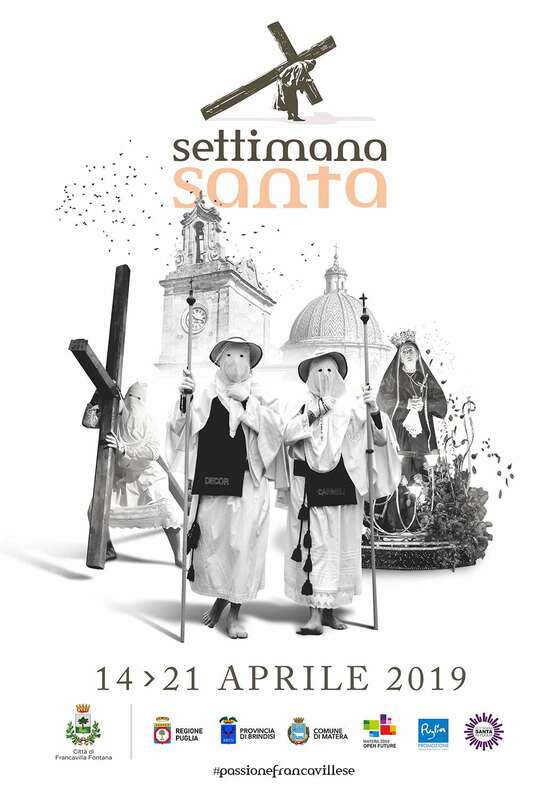 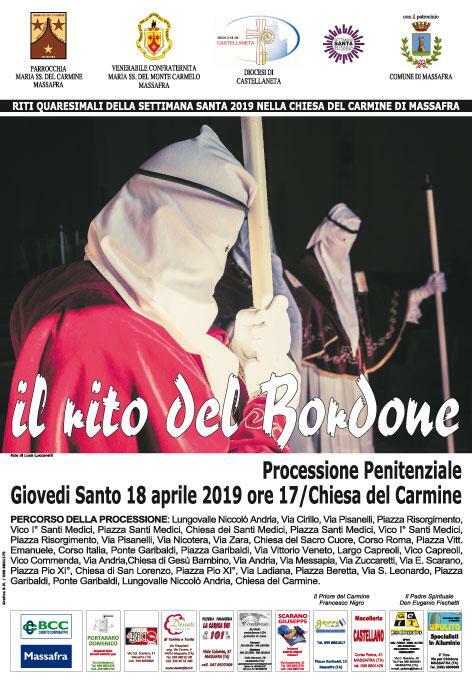 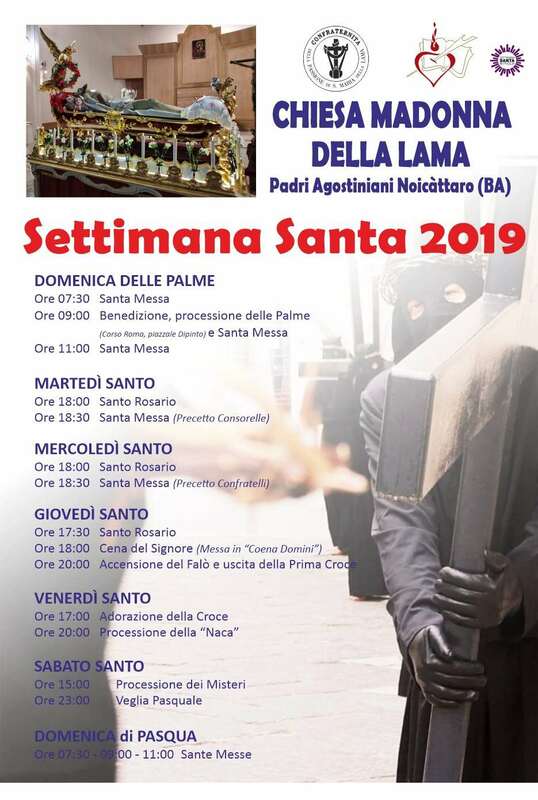 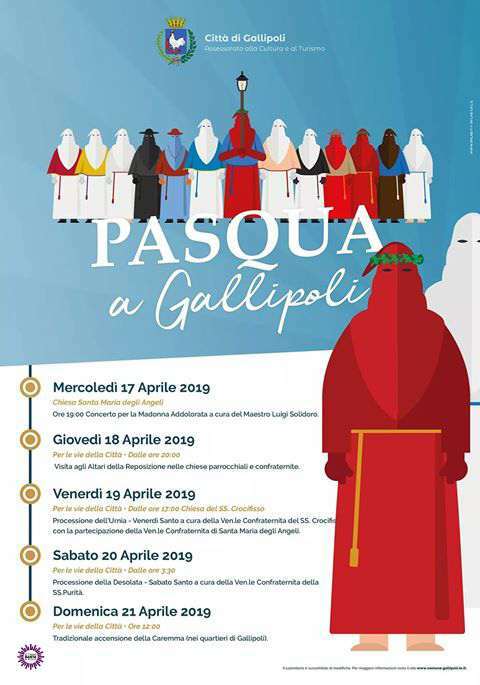 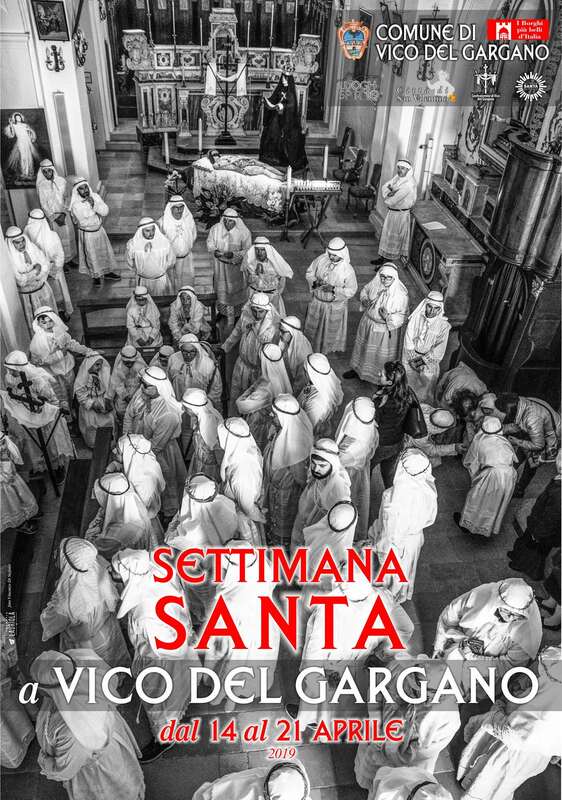 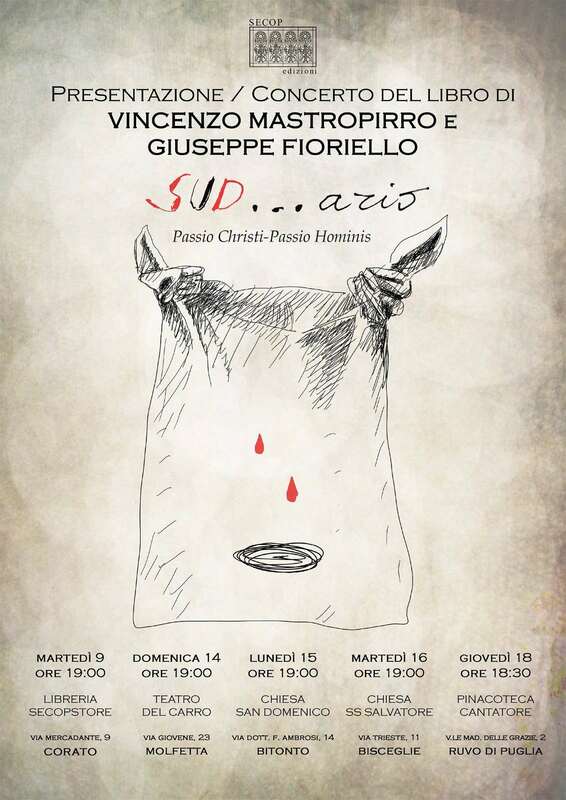 It would be exceedingly simpleminded to consider the funeral marches from Apulia as mere sound tracks of those processions that annually renew the Passion and Death of Christ. 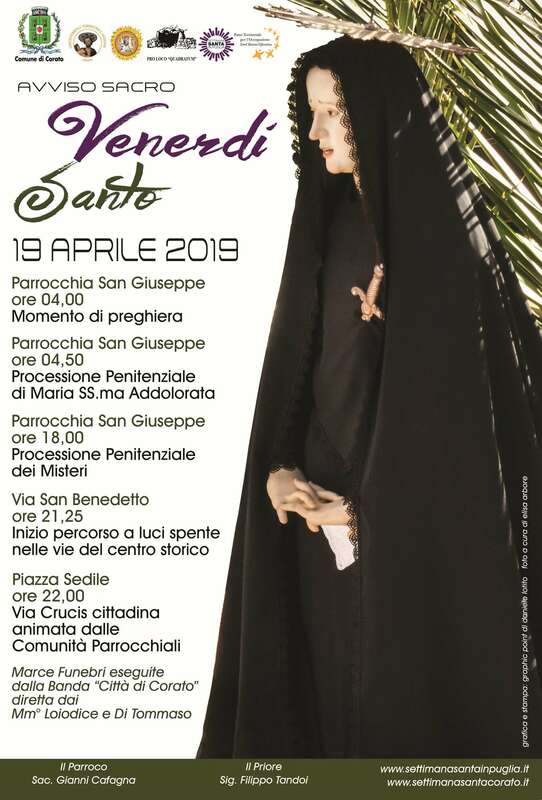 There is something regal, solemn and somber which peers into the mind of a man in Southern Italy, merely thinking about a “funeral march”. 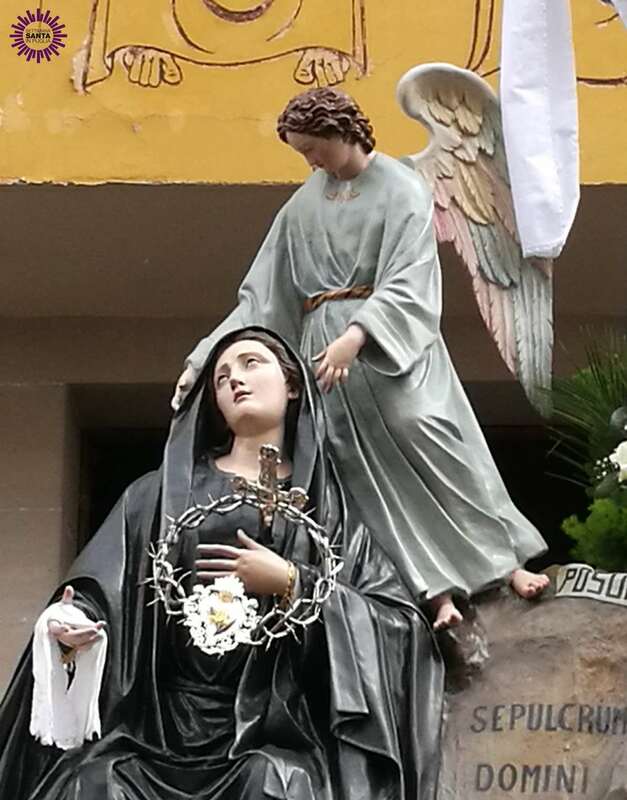 Its origins have been lost in the mists of time and are clearly linked to burial rites. 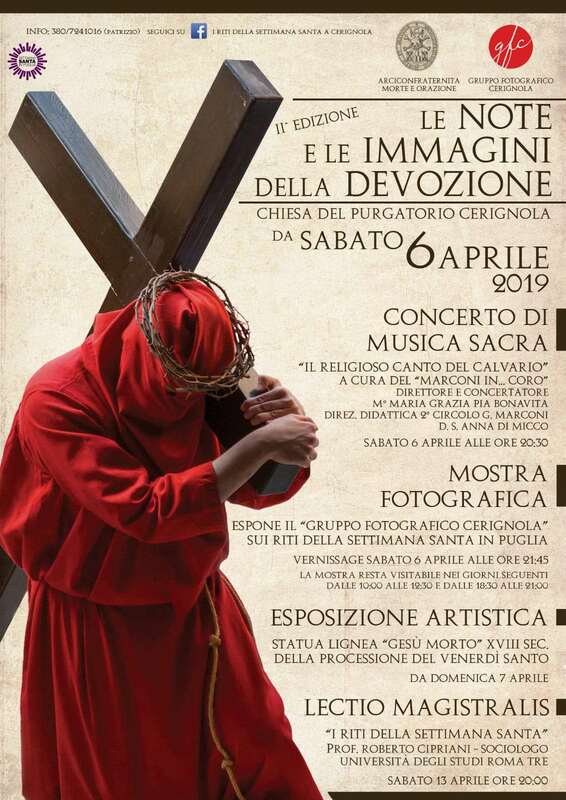 This kind of music is rooted not only in western Christianity, but under various guises, in the different cultures of peoples who are geographically and anthropologically far apart. 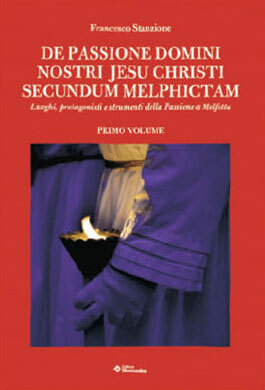 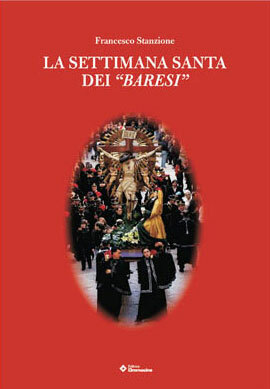 Authors have at every level made attempts at this genre, which has undergone a significant proliferation with the development of Lenten rituals. 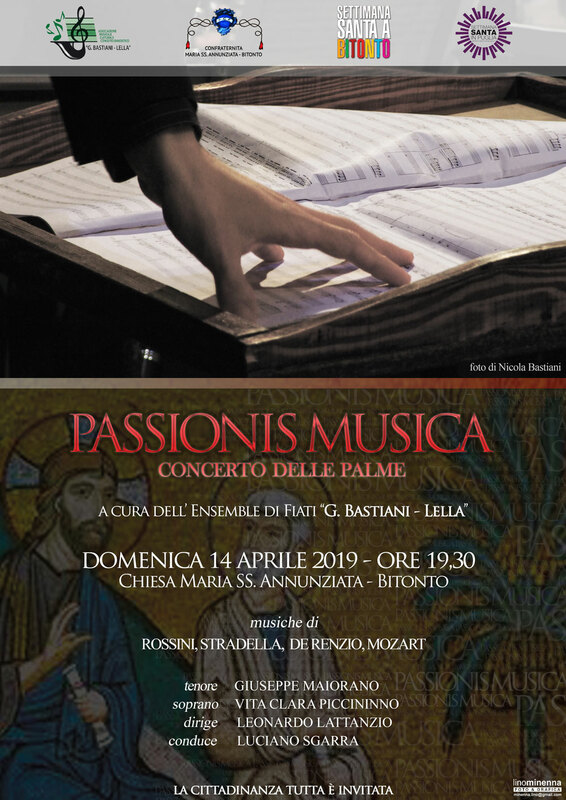 Many have played at being composers, writing marches of unremarkable artistic quality which are, nonetheless, authentic examples of popular piety, however many great musicians have also written pieces in this genre (think of Beethoven, Chopin or Wagner). 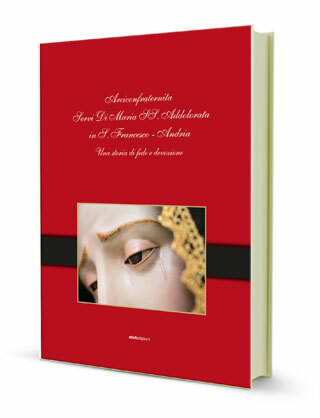 This bears witness to the intimate needs of prayer and meditation that man needs to express through his art. 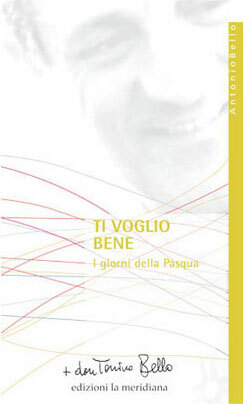 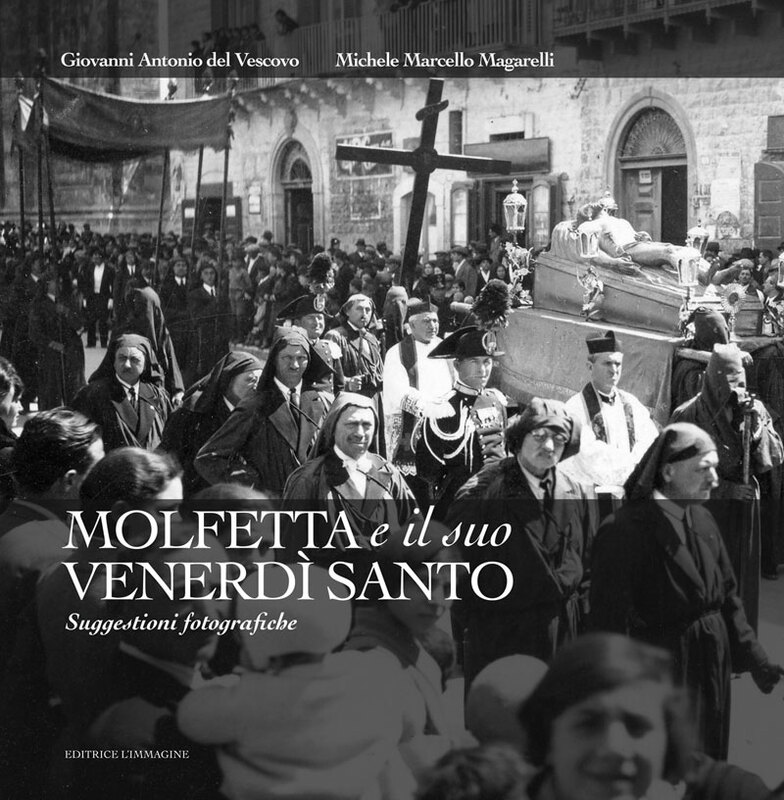 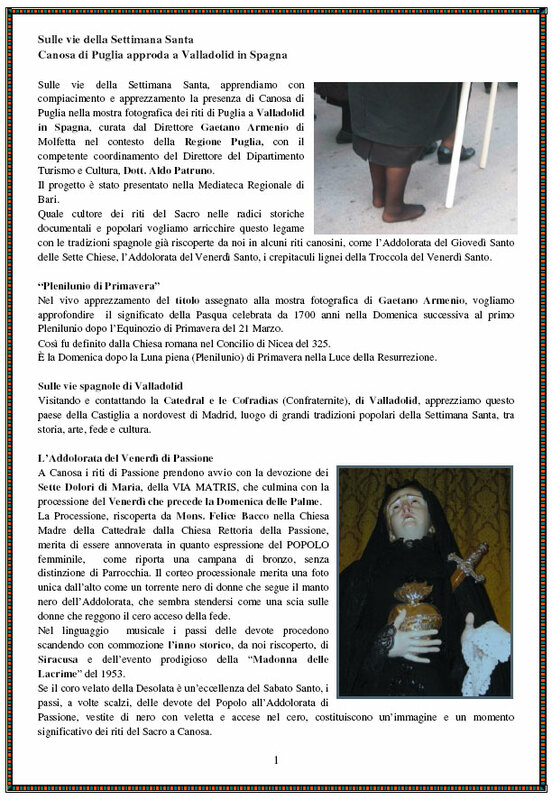 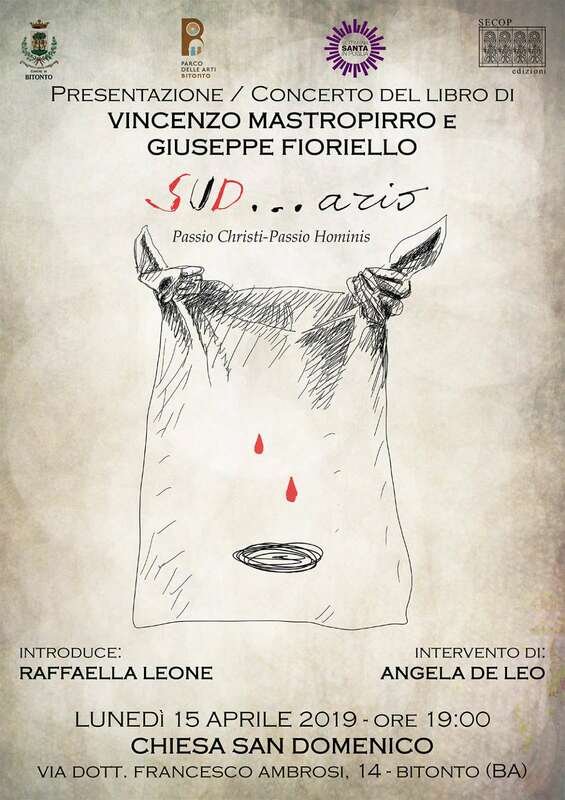 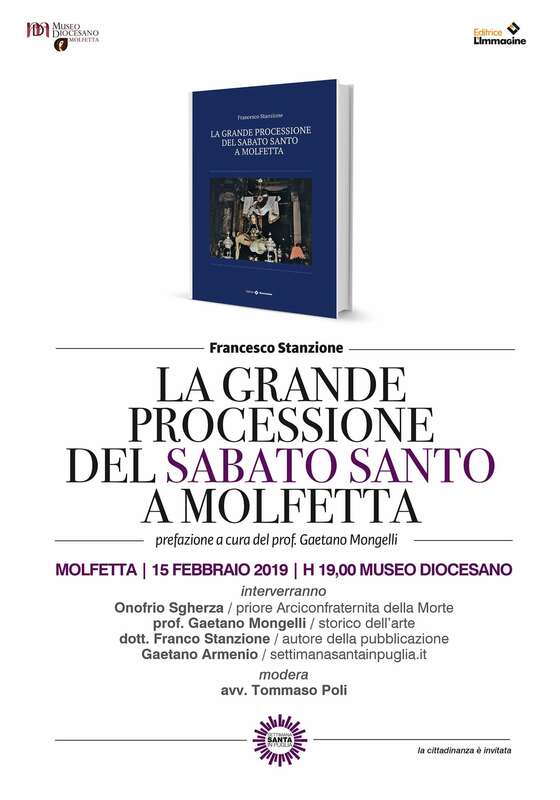 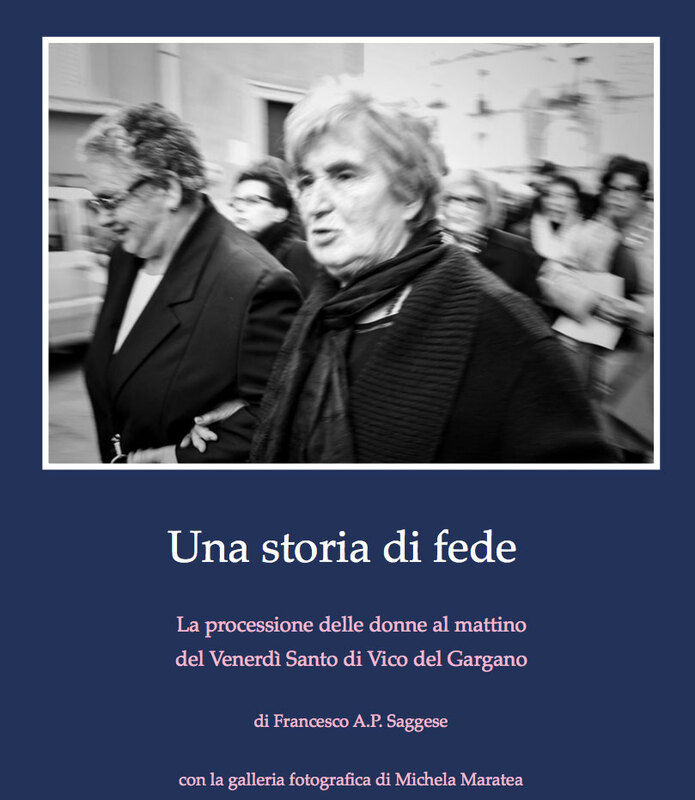 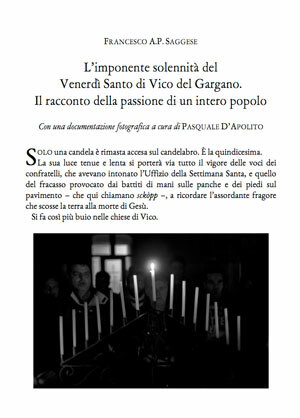 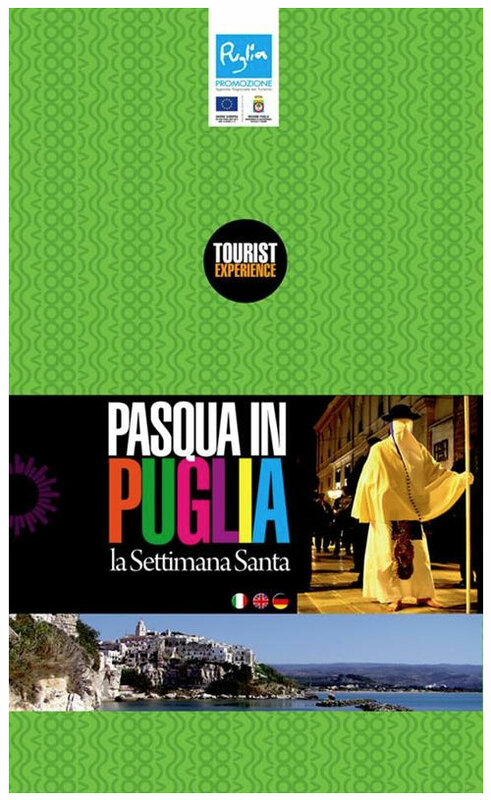 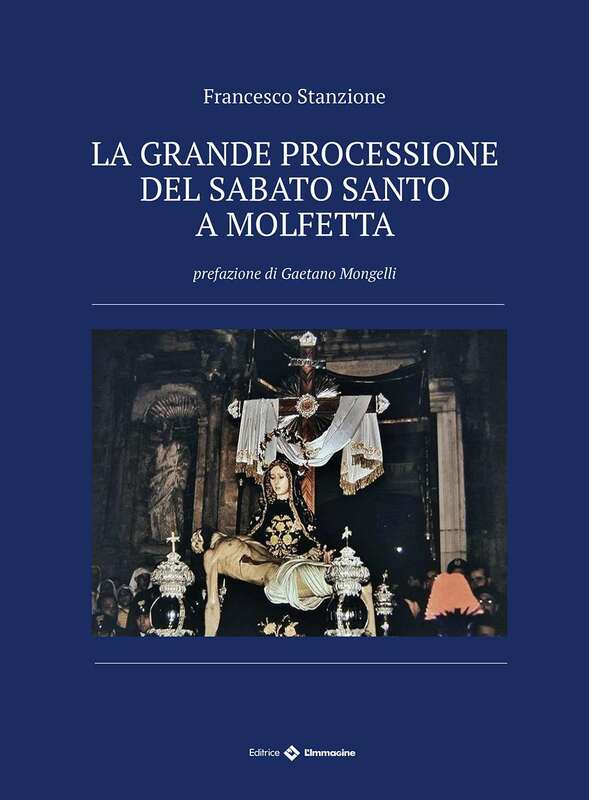 Apulia, moreover, has a large group of authors of funeral marches, many of them of high artistic level: the Amenduni from Ruvo di Puglia, Carelli, Biagio Abbate and Larotella from Bitonto together with Delle Cese who chose Bitonto of adoption, Valente, and Saverio and Sergio Calò from Molfetta, Rizzola and Bonelli from Taranto, are just some of the most important local composers. 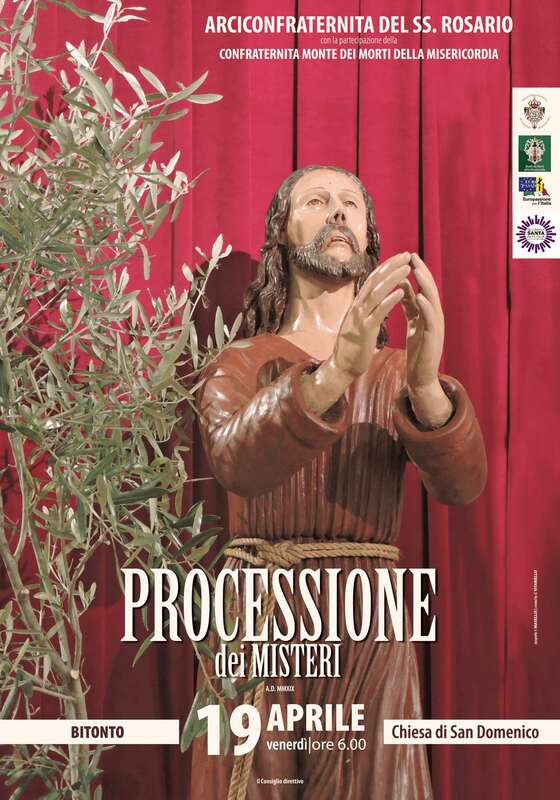 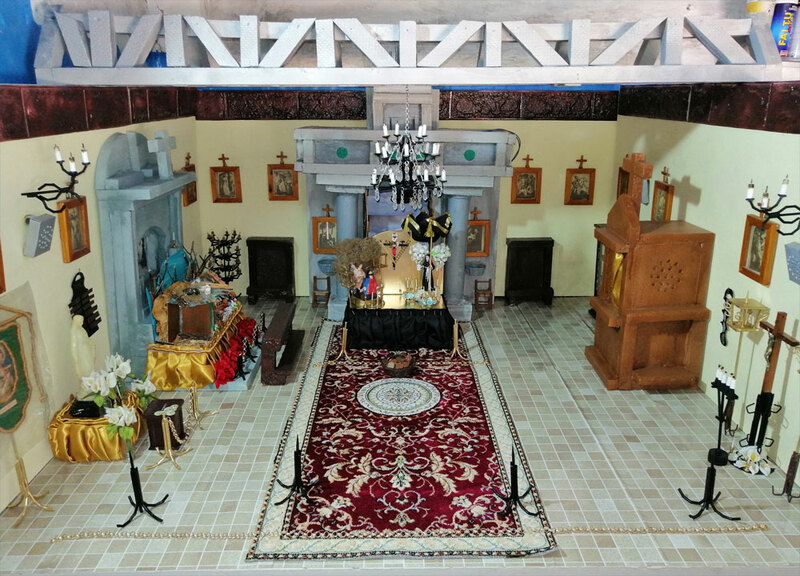 Men who are capable of translating those emotions related to personal situations and the religious feeling of Holy Week, succeeding in stirring enthusiasm in a people who devoutly watch the long processions over many years, moved by those poignant notes that mark the slow and grave pace of the bearers of the Holy images. 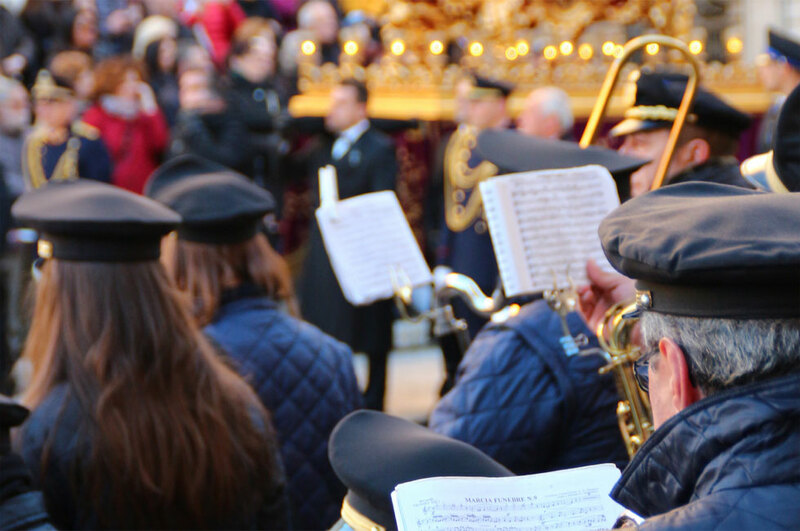 Some of the notes are quite delicate, stirring up meditative themes, whilst others are more stately than celebrative, still others mournful and solemn, which have most often been written with the precise purpose of setting the cadences in funeral processions and so full of drums and the blares of trumpets. 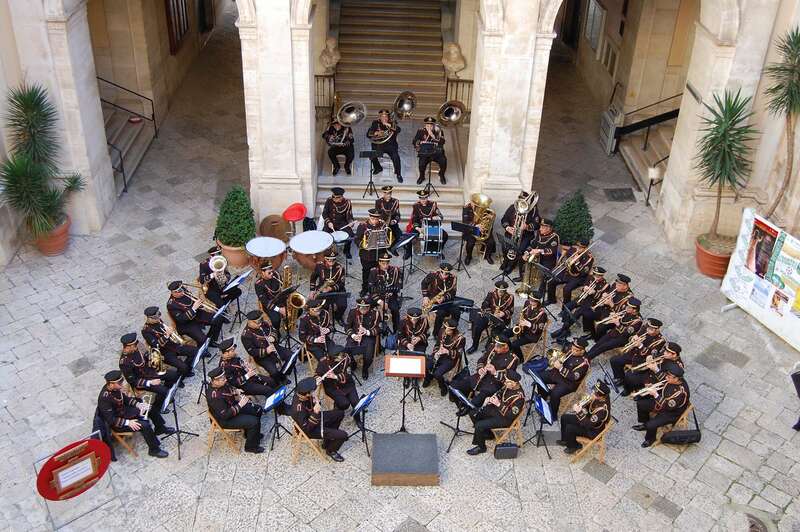 Though differing a great deal from one area to another (especially as regards the formal and harmonic structure) the funeral marches from Apulia do retain some traits in common: they are based on themes of great effect in which all instruments play an important role, but on the whole, it is the horn section (soprano, tenor, baritone horns) which tends to stand out. 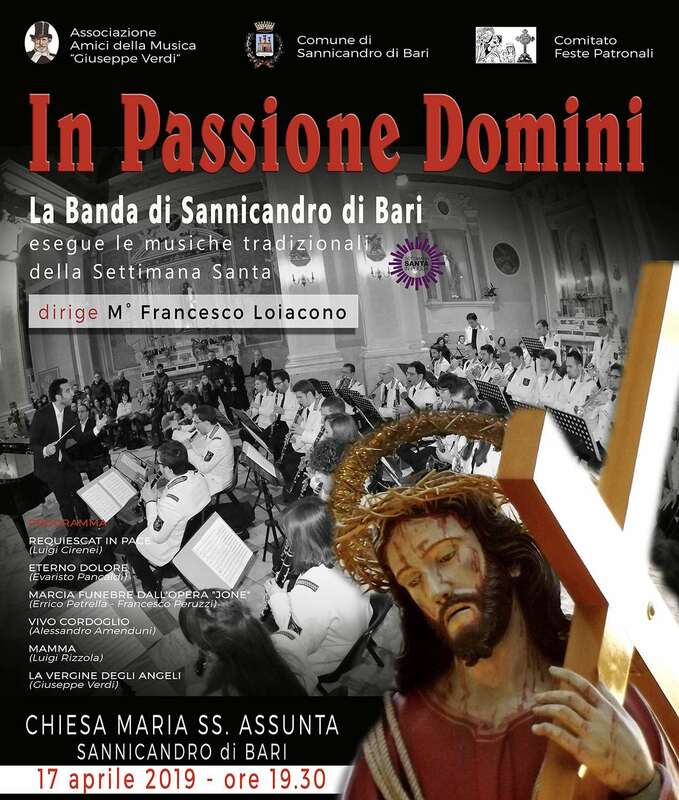 It is the horns which are entrusted with songs, counterpoint and countermelodies in virtue of their warm and melodic timber. 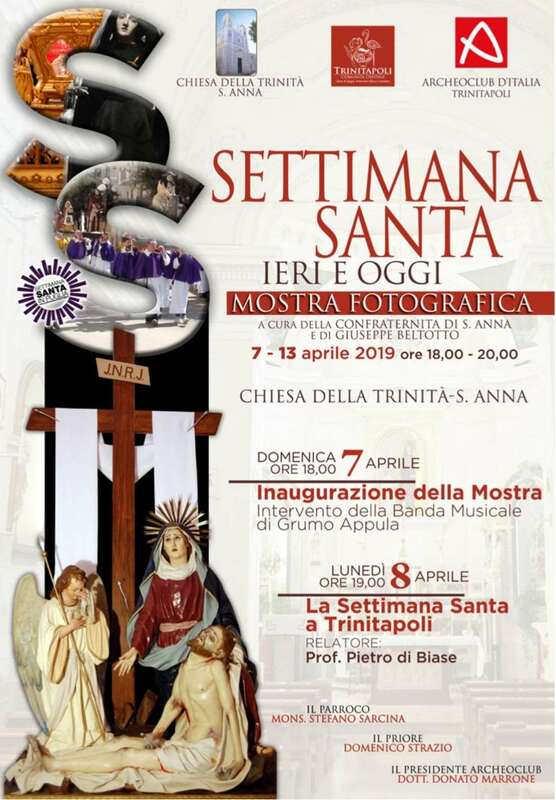 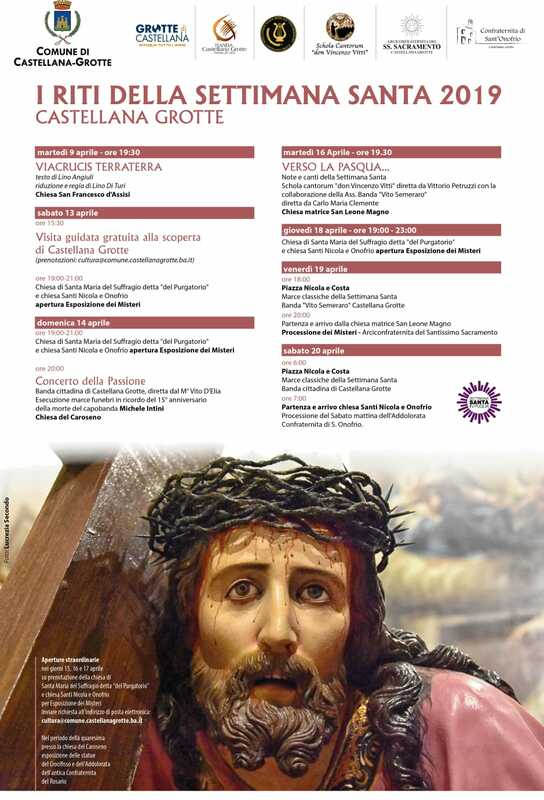 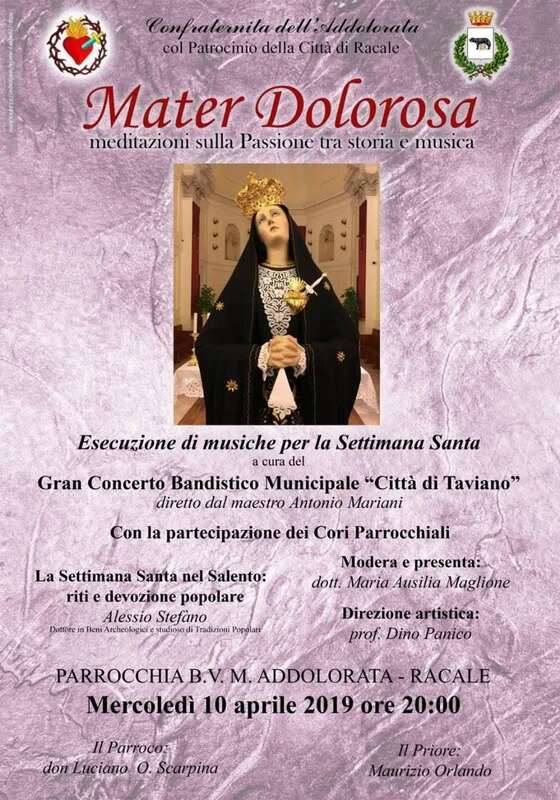 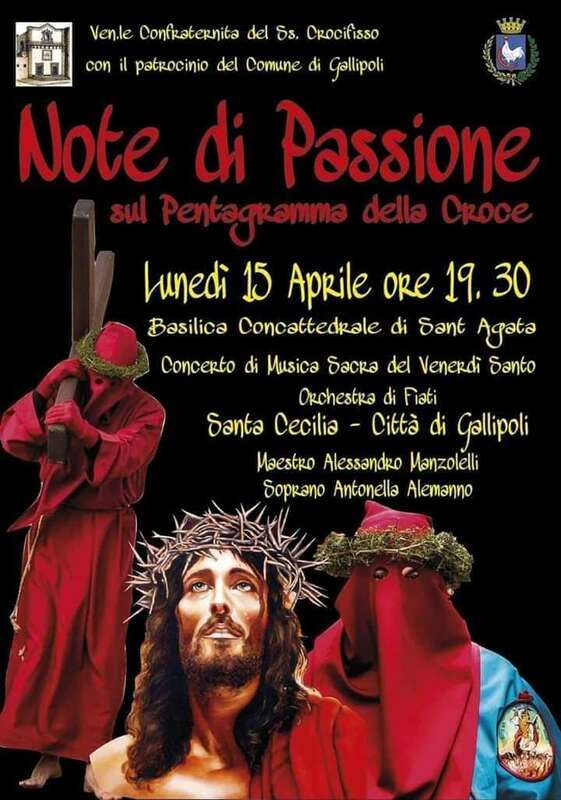 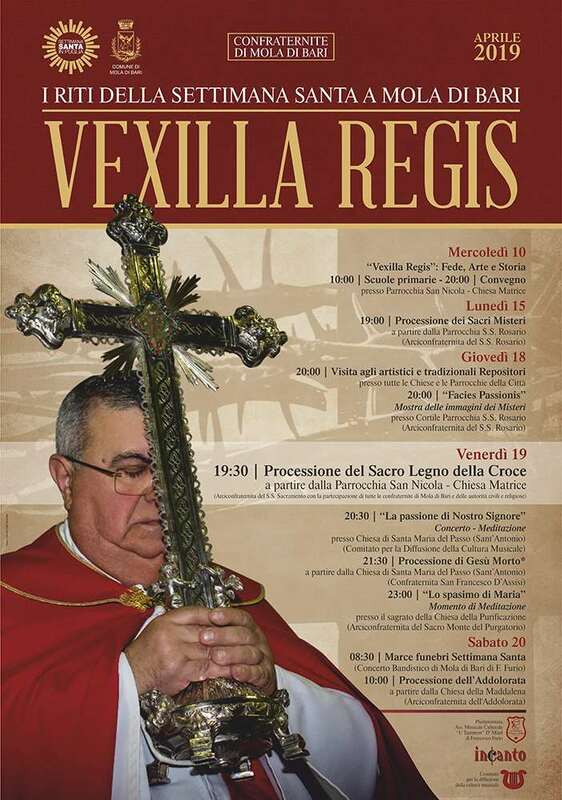 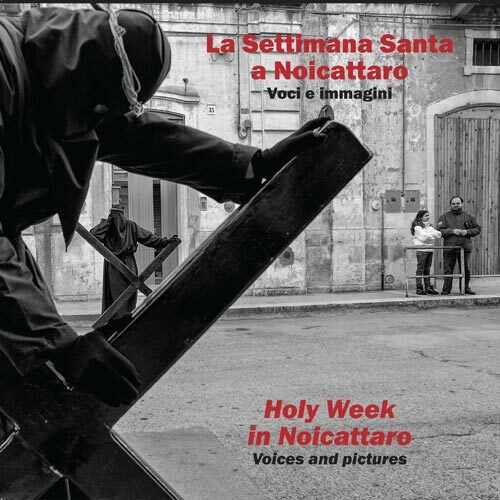 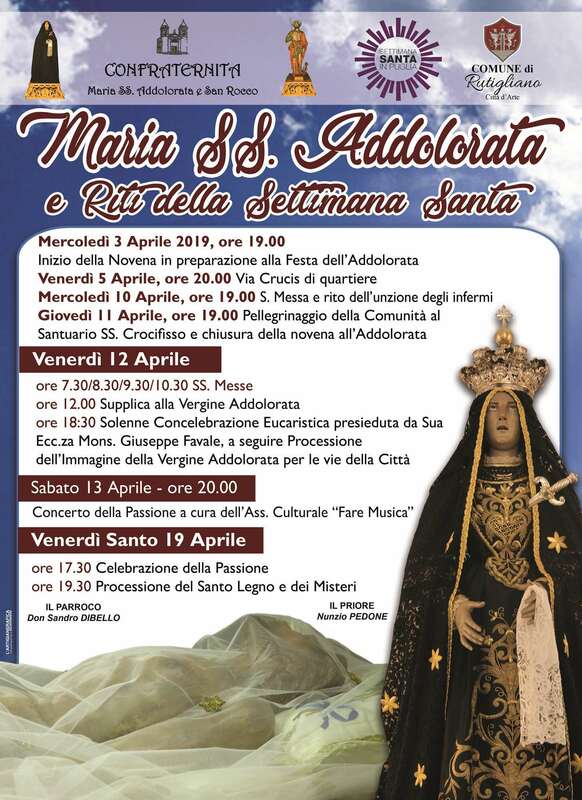 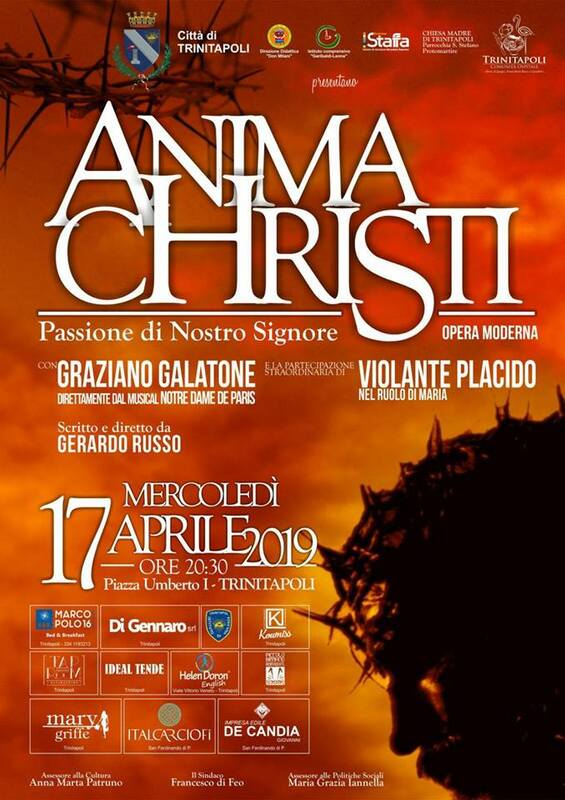 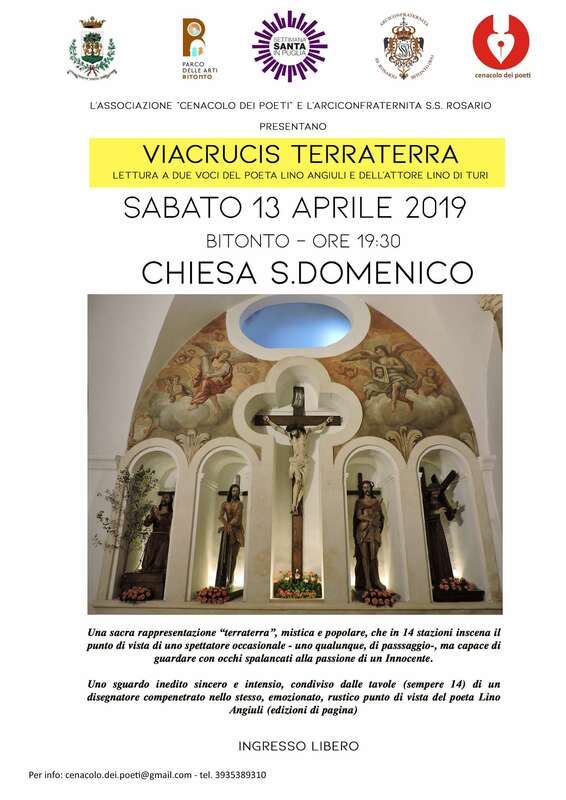 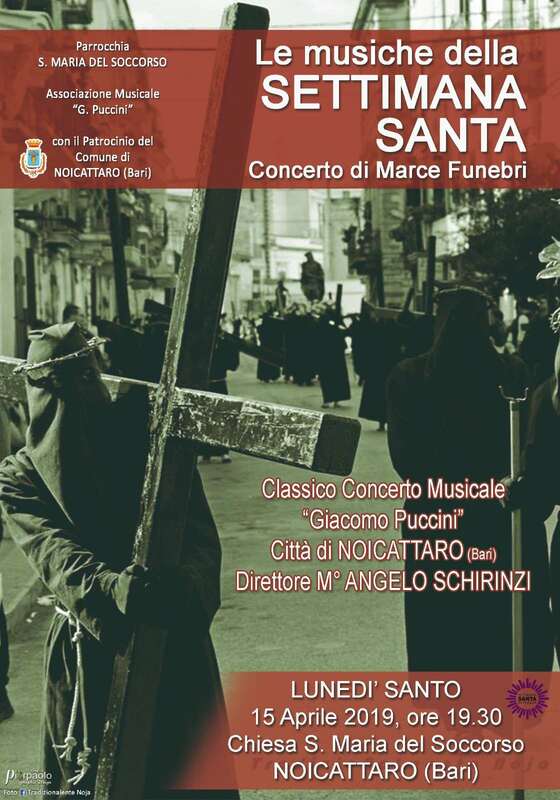 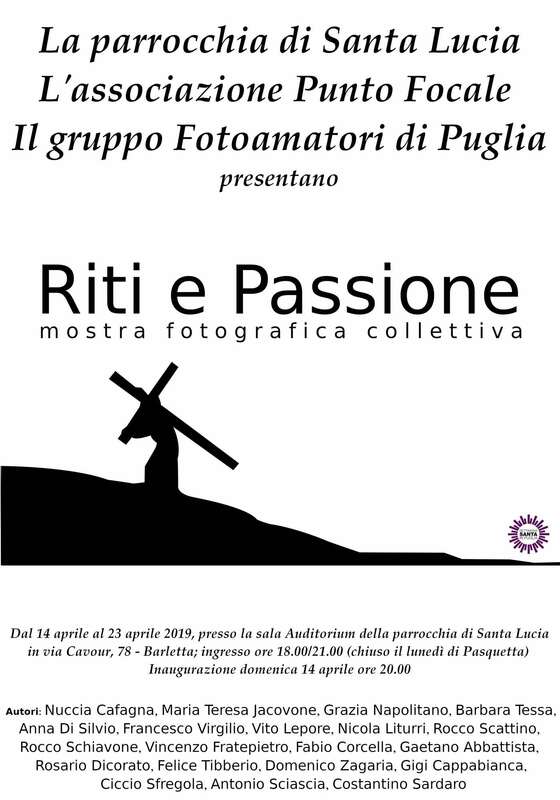 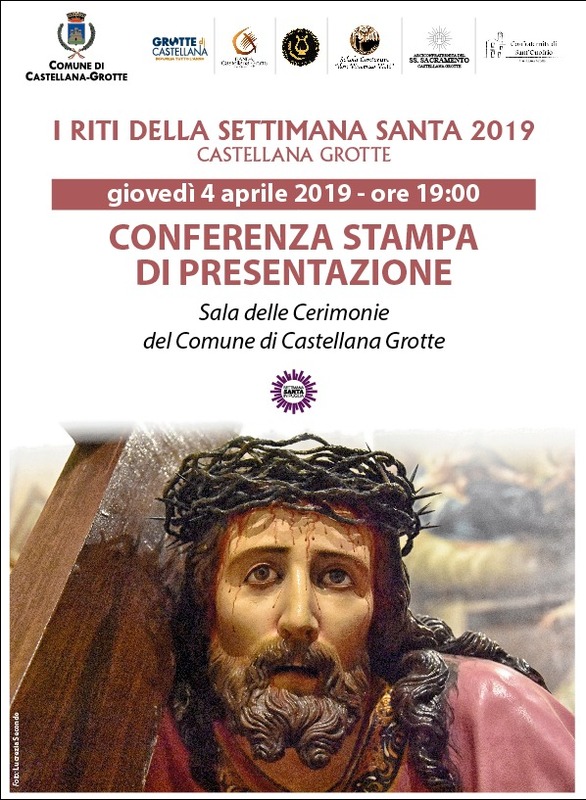 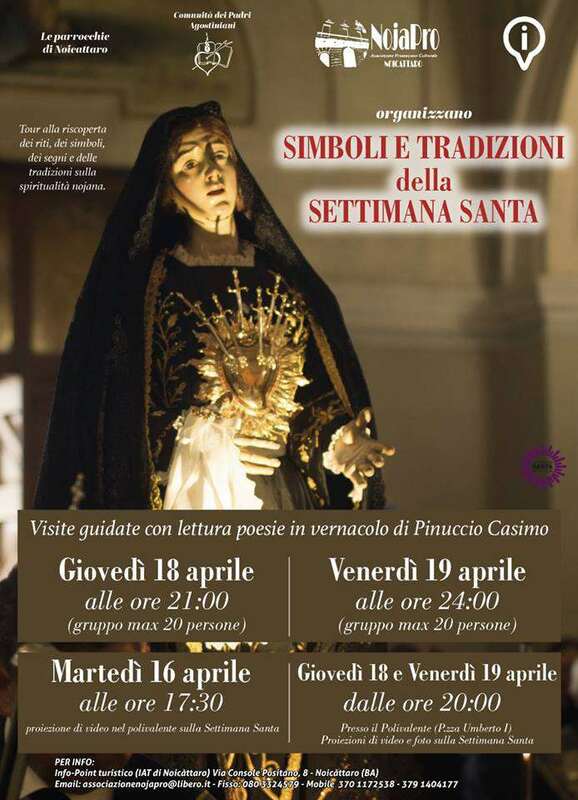 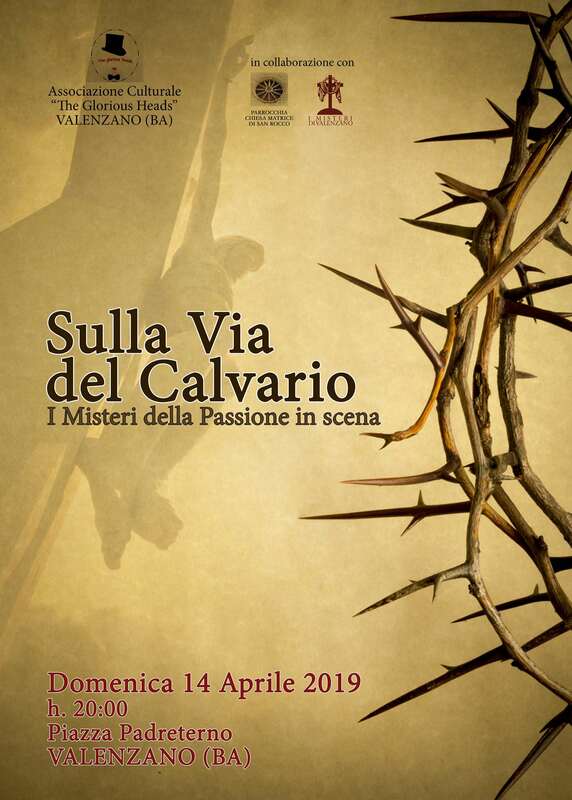 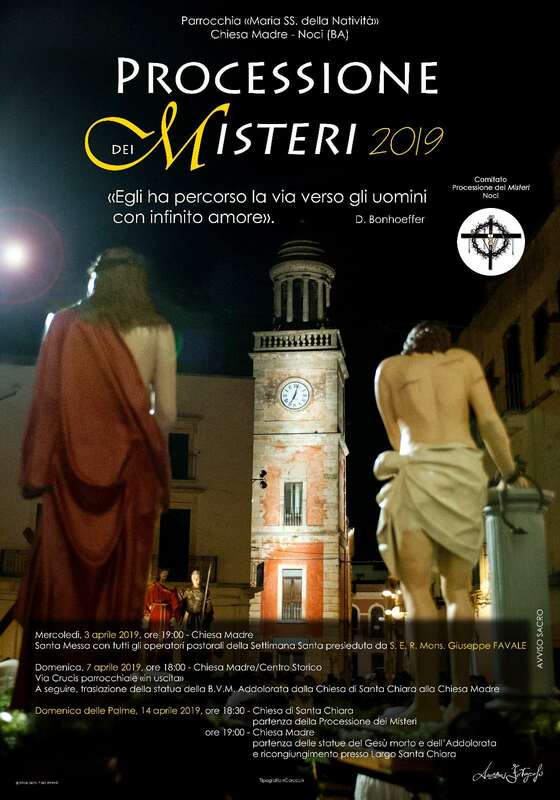 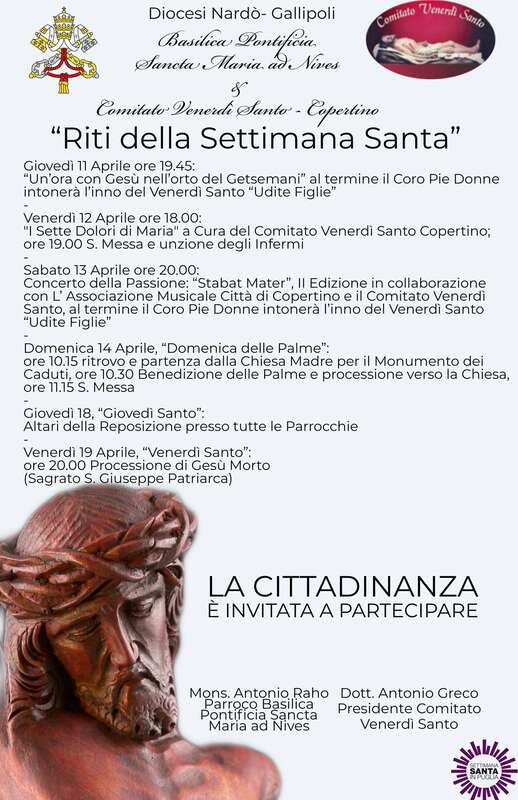 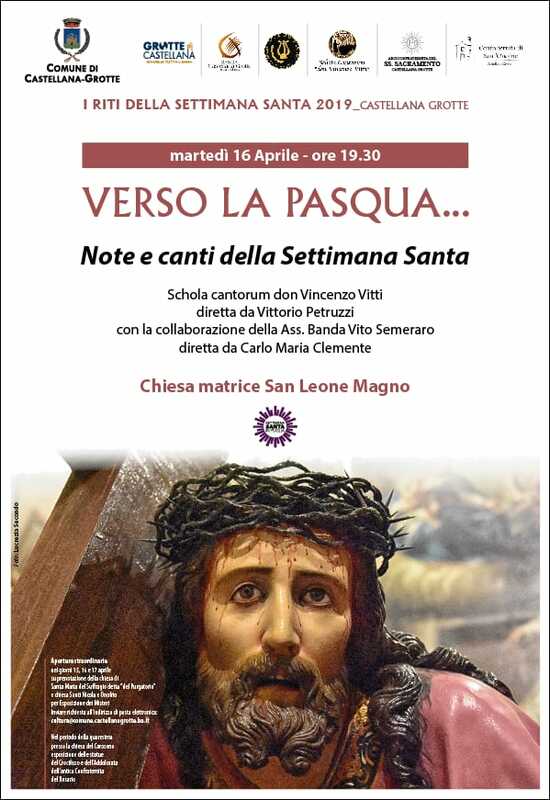 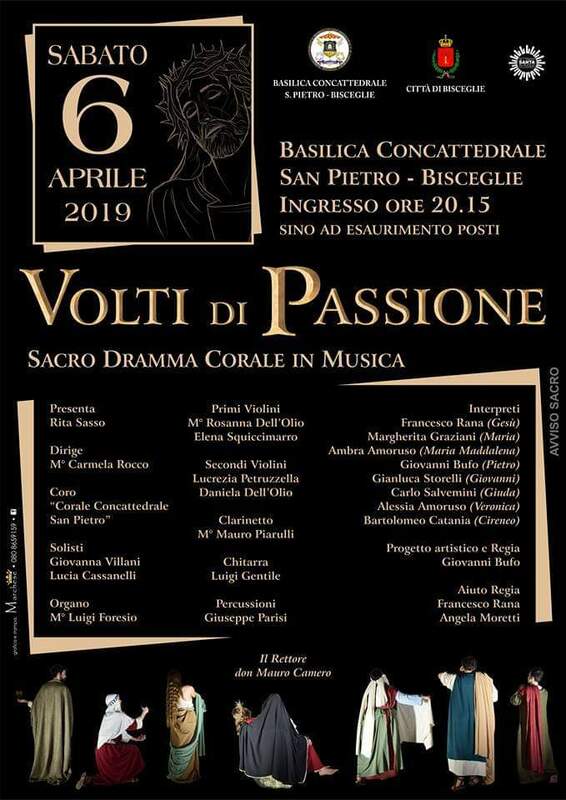 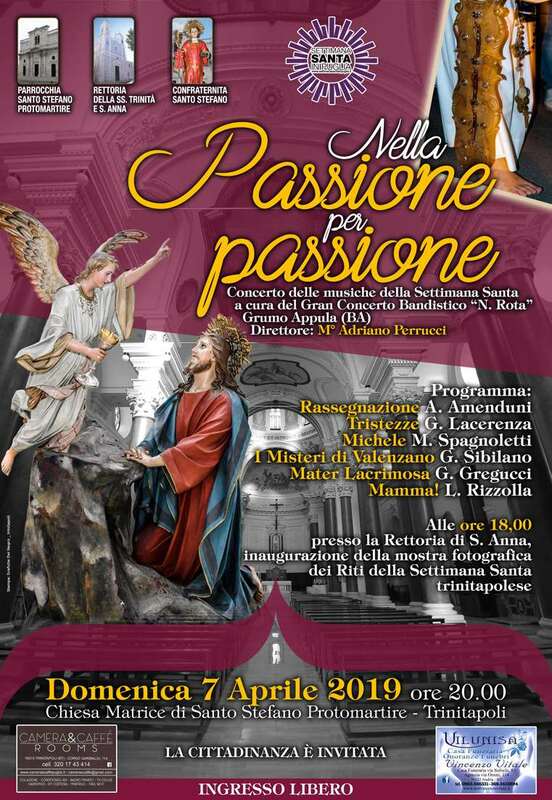 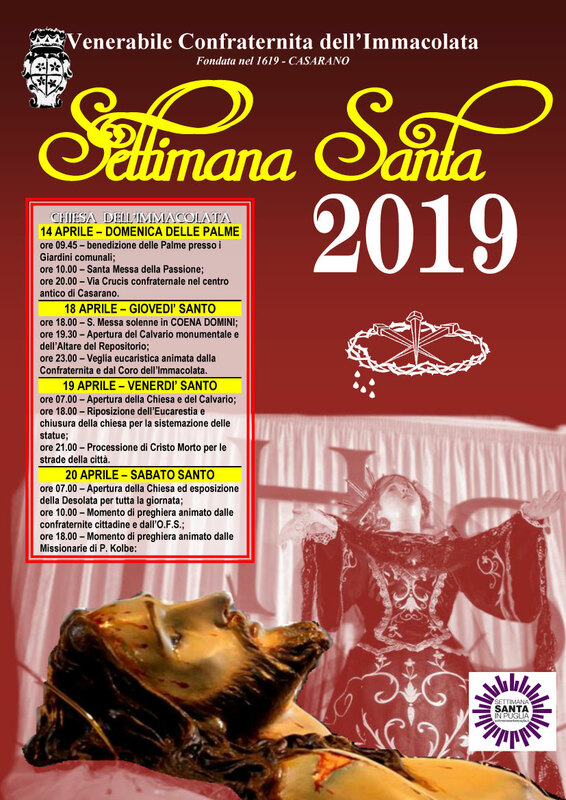 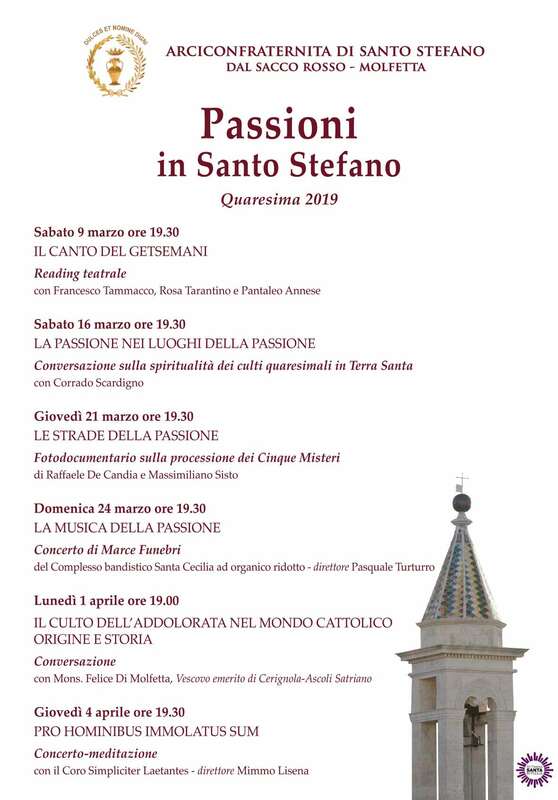 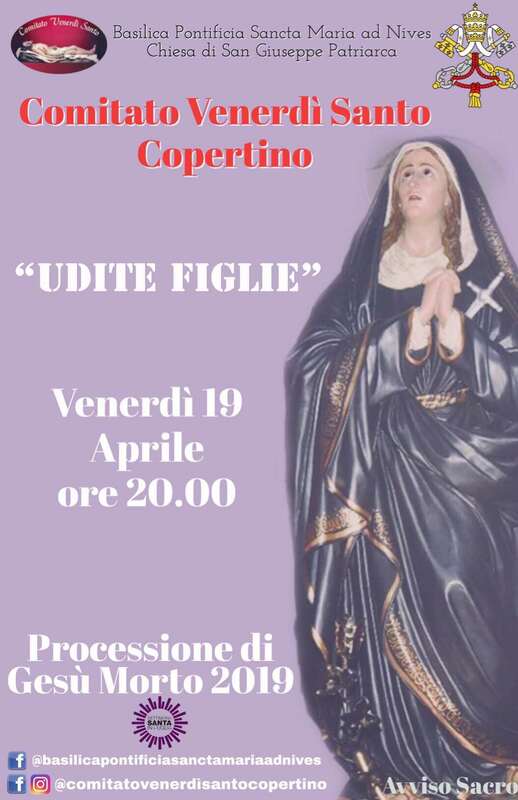 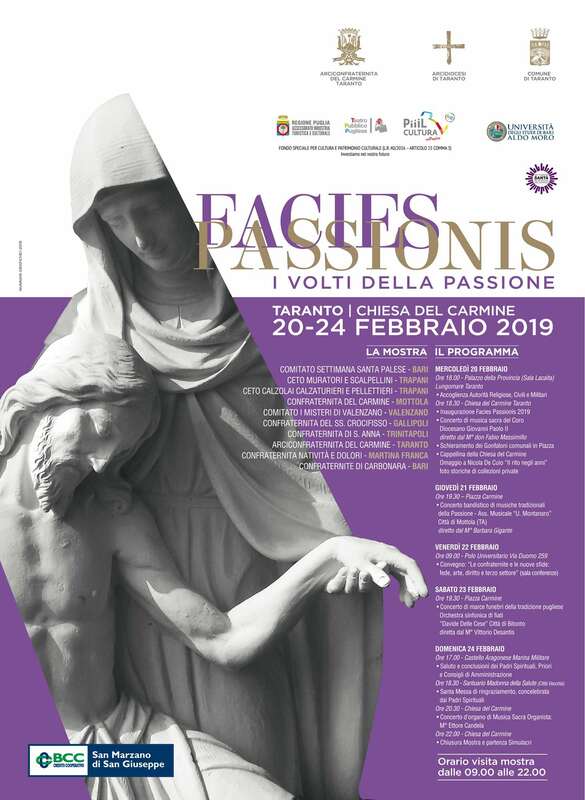 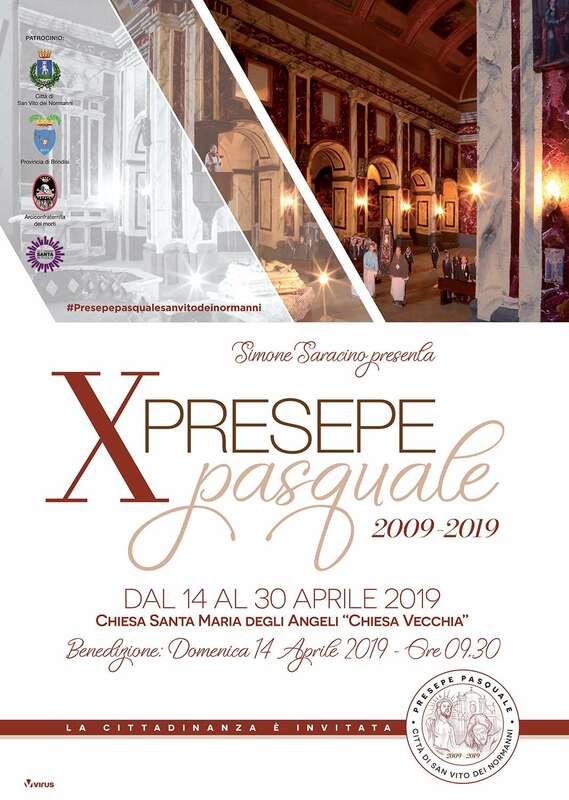 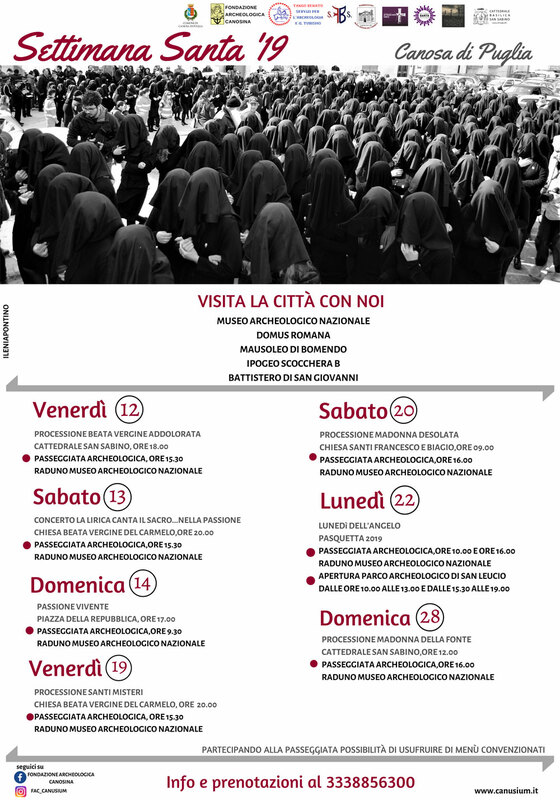 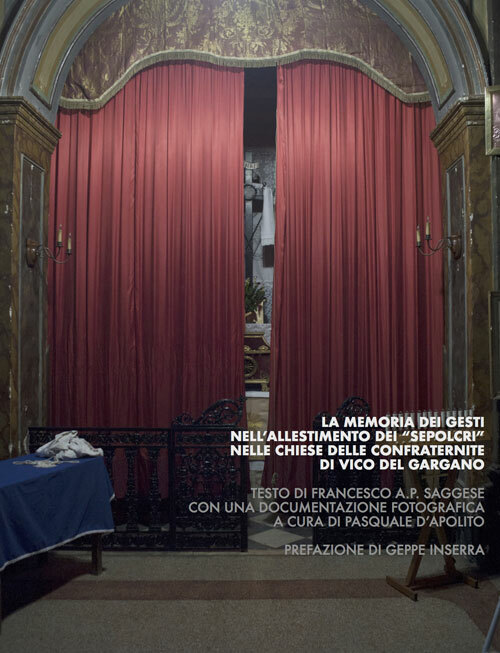 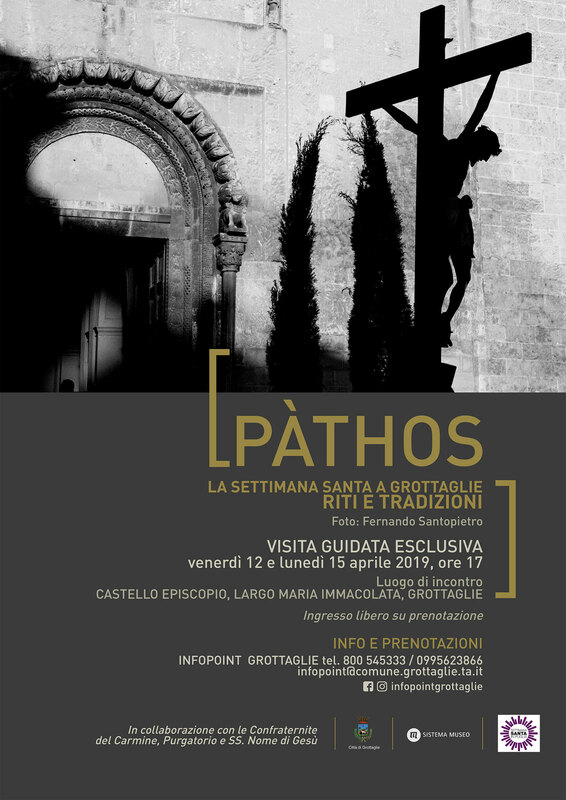 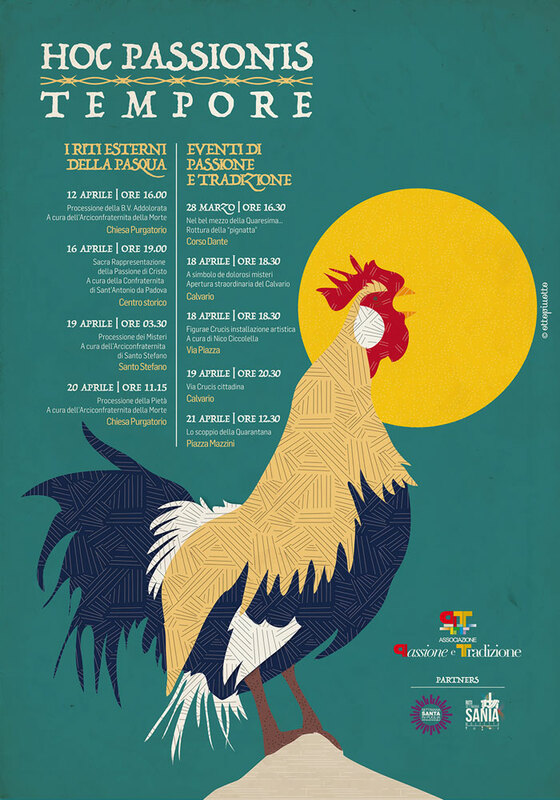 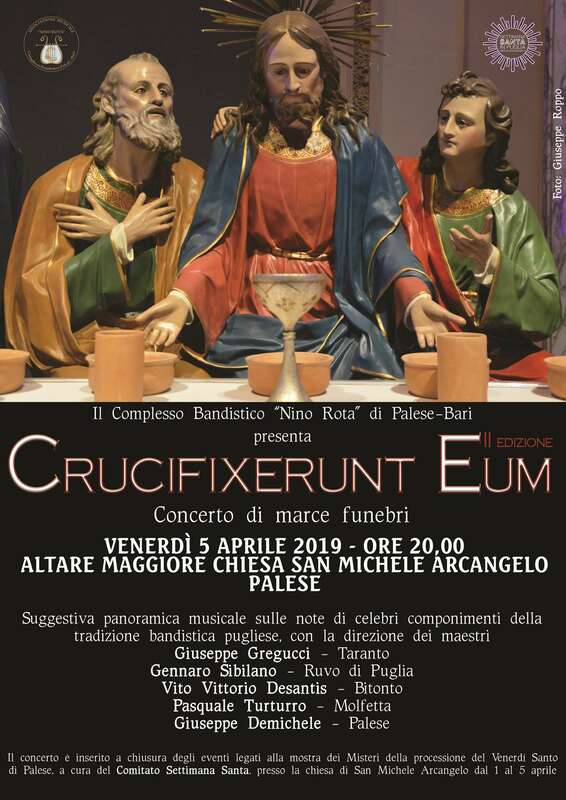 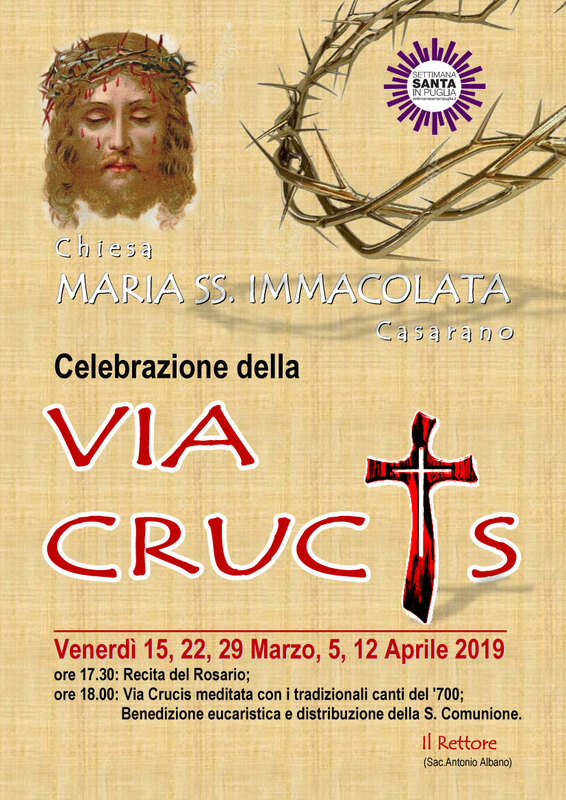 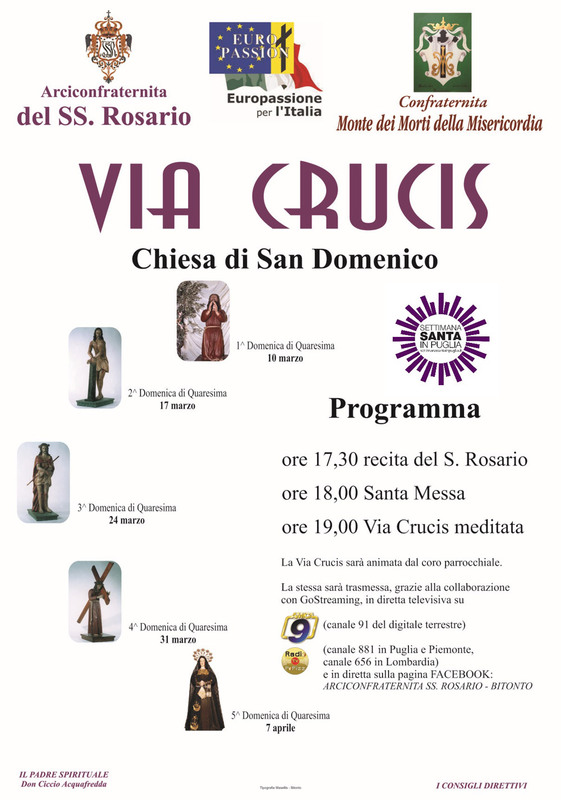 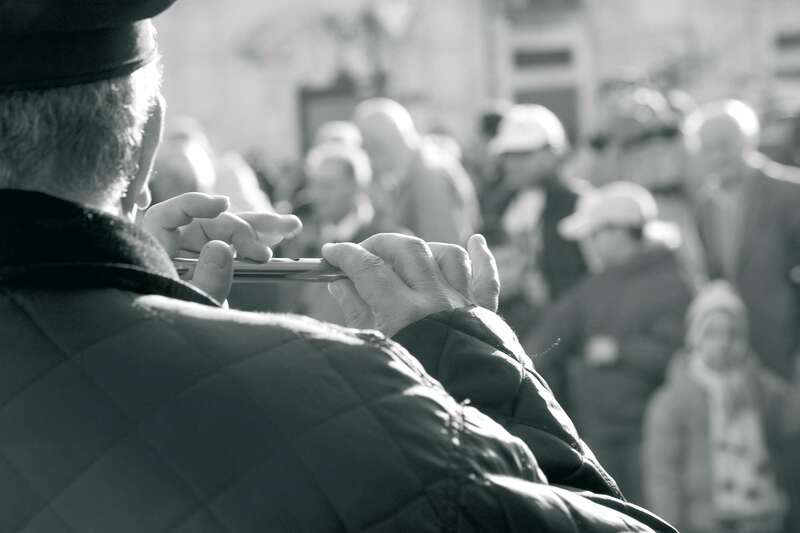 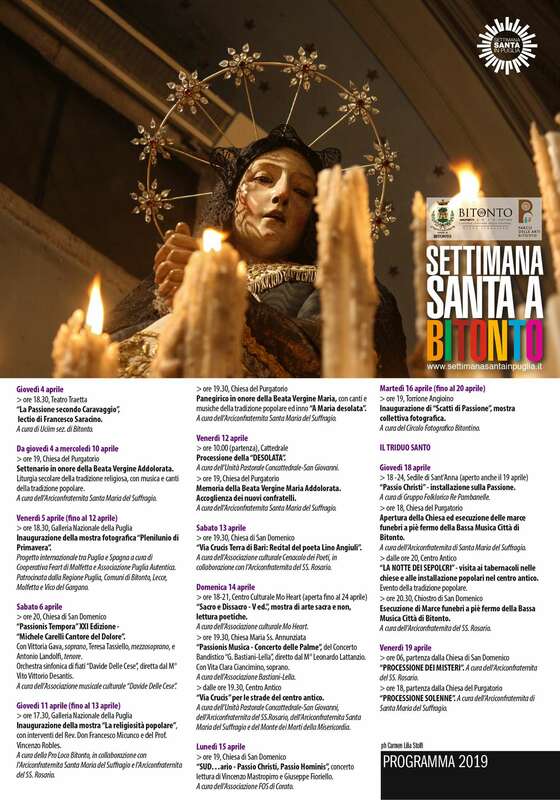 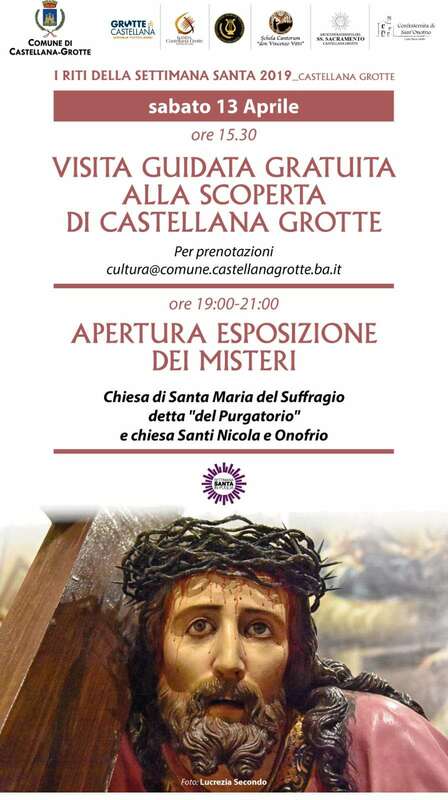 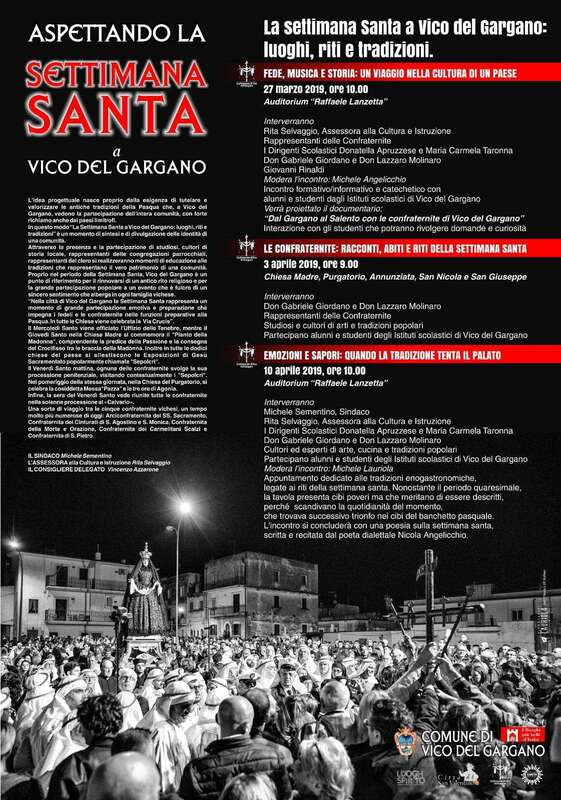 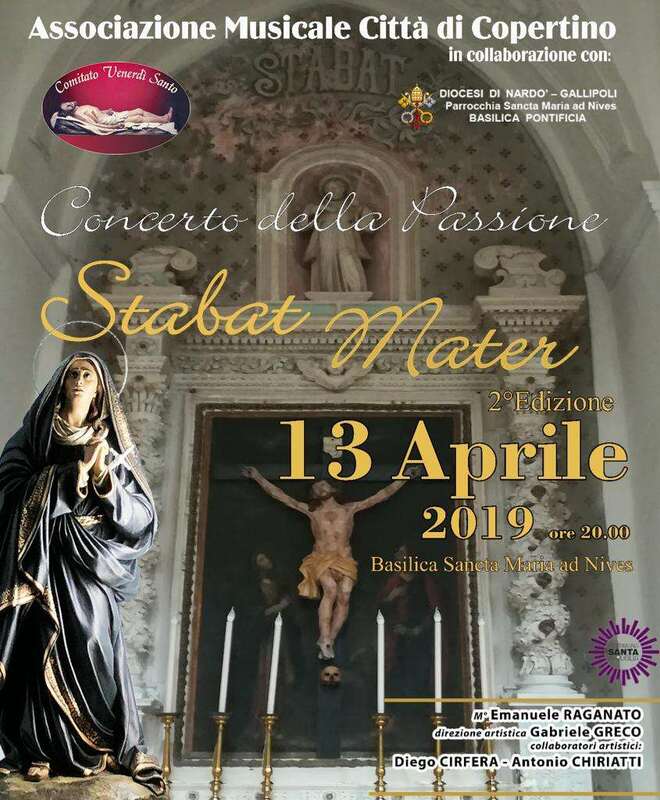 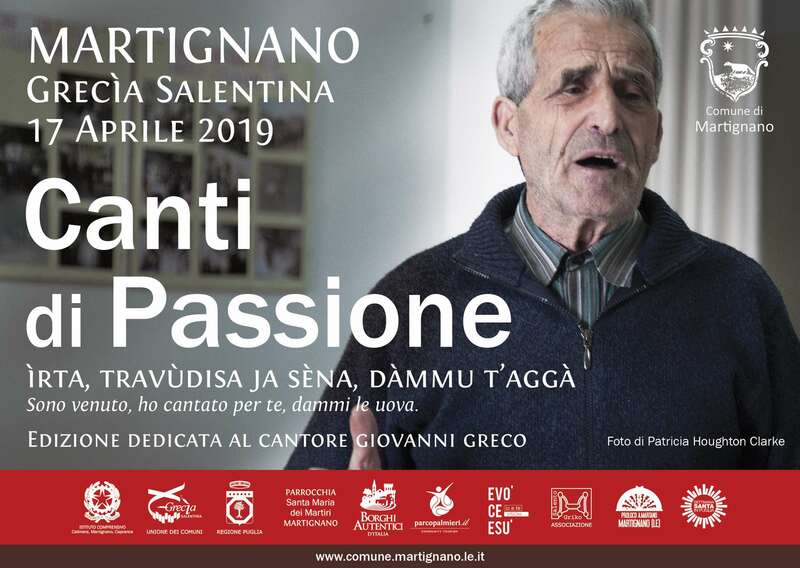 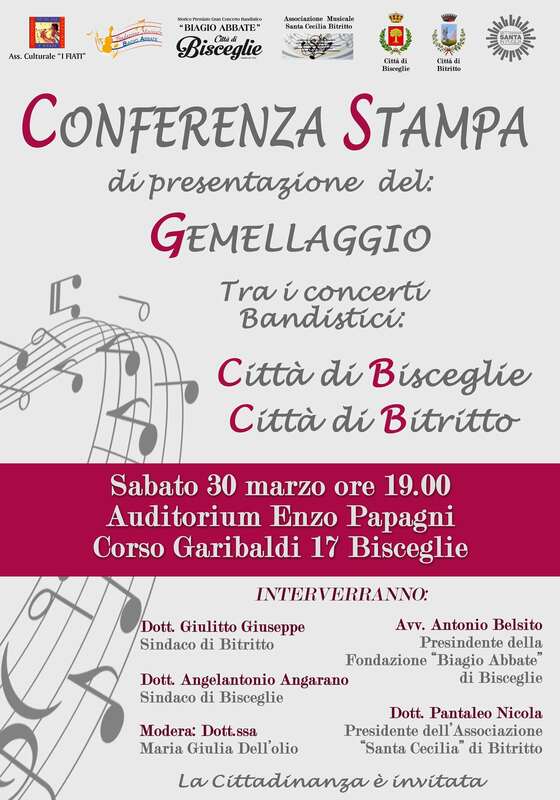 But what is surprising is the attitude of enthusiasm and devotion with which the individual performers, the members of the Apulian concert bands, approach these marches, anxiously awaiting the appearance of Lent. 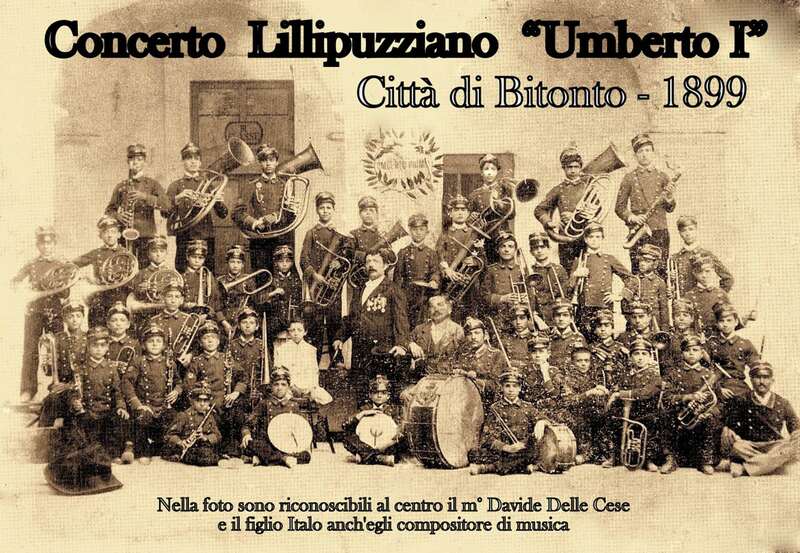 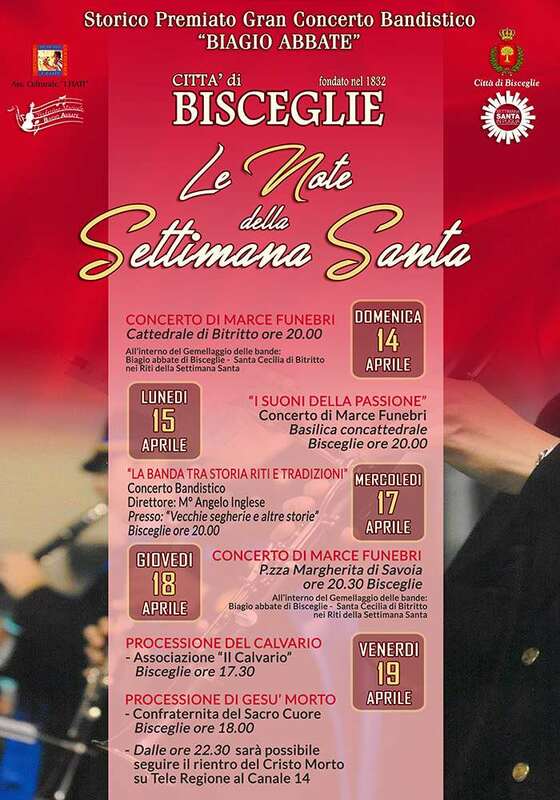 It is no fluke that the funeral march-band combination is inseparable in the South of Italy. 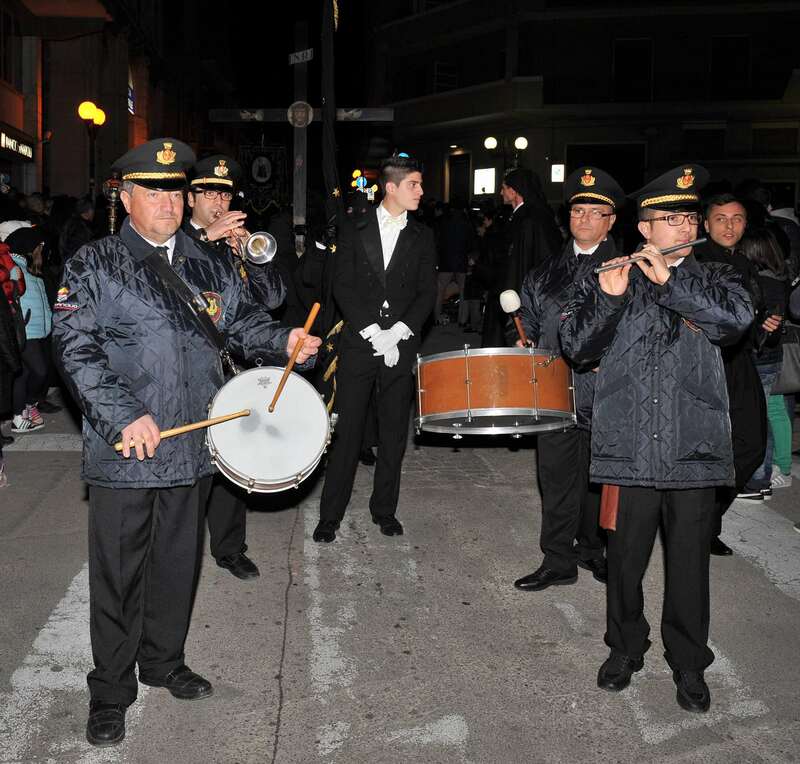 The band, which came into being in order to play outdoors, is an expression of the community and, as a “unitary body”, the symbolic representation of the human being. 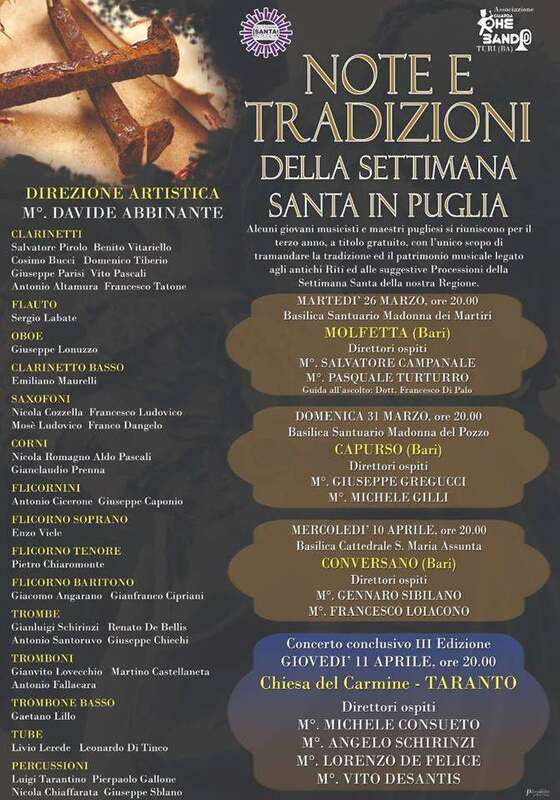 These instruments are made up of beats (entrusted to the rhythm of the drums) that evoke heartbeats and winds (those blown to play the instruments) that evoke breathing and it is this characteristic that makes it so deep-rooted in the popular fabric of society of Southern Italy.